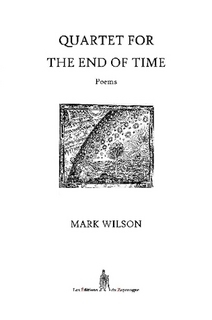 Home » Book Reviews » Quartet for the End of Time: Mark Wilson sings his paint in verse. Quartet for the End of Time: Mark Wilson sings his paint in verse. And thus spake Mark Wilson, poet after the blood thrust and heart of Ezra Pound: blunt, clear and erotically uncompromising. In an ocean of words polluted with the endless description of giraffes and the smallest moments in life of which we are not made, Mark Wilson stands firm in his passion for music, paint and the blessed word. Here is a man for whom the pump and pour of life’s energy transmuted into art, matters. Art is its own reward in this poets world. Each of the sublime poems that make up Quartet for the End of Time are taken from paint, music, words that have gone before him or the very breath of god. Here is an artist willing to stand for the important, question our thinking and deliver beauty in the face of all our inner ugliness. I was lured by the power of the words to bring the music to it. The call is to a deeper part of me, an invitation to the alternative. Mark Wilson asks me to feel: Can you feel it? can you feel the music as you open up to it? I’m taken out of my mind by the music and into the poem when I give my pathetic permission for the two to dance with my psyche. scape, constantly re-fuelling your movements. 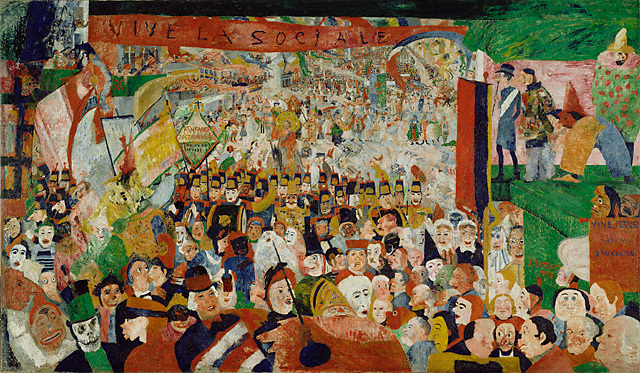 Christ’s Triumphal Entry into London is the tribute poem to the great artist James Ensor. Here mark Wilson has humanity swarm; meddling foolishness of pomp and ceremony in absence of knowing what to do with the power of a moment. The words sound like the look of the art – in Wilson’s gifted hand you can read color. He holds his pen as Ensor holds his brush, sending his psyche to meld with the artists internal machinations. I loved this poem, when I read it in the shadow of this great painting. towards the heavy, opening gates. All of this includes a kind of lament for, not what has been but for what might have been in And the Word Fell. There is a link for Wilson between where we are and where we have been warned against being. It is in the emergence after the pain of the every day experience of living – as if from a concentration camp of the soul, that we will come face to face with what we seek. Death of all things beautiful lies in piety and our connection with the spiritual is an elusive thing that will not even answer to our own desire, our splintered agony. History and the church conspire to remove this christ-creature from our grasp. 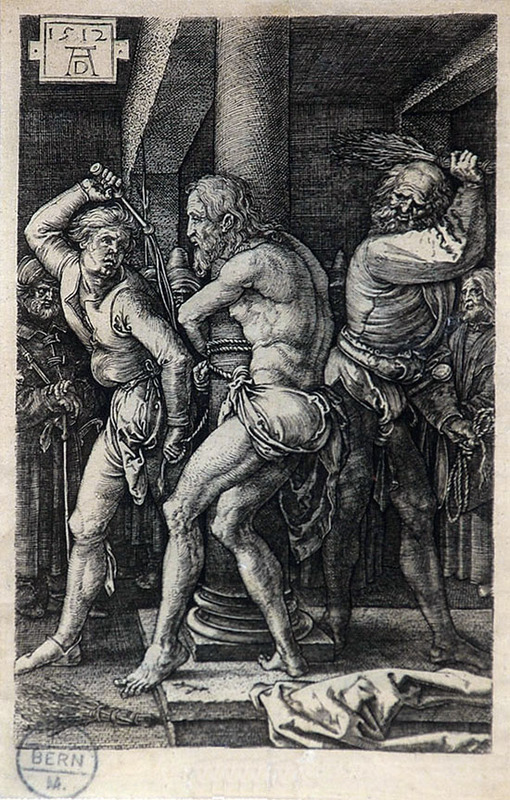 A rich poem – The Circumcision – tells of a madness where ritual and the dividing of the ‘black sheep from the white’ results in a ‘judgement-day scab’ on those who seek a deeper way. 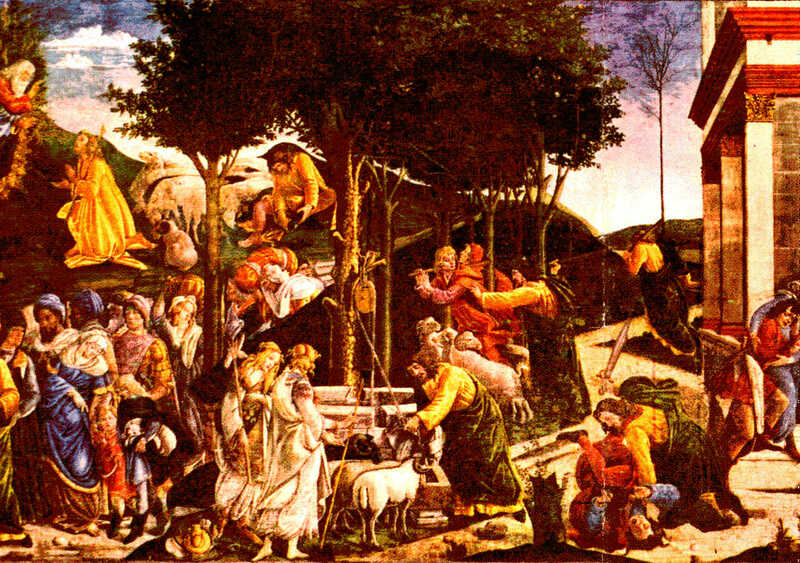 In a departure from the christ question, Mark Wilson takes us into his own vulnerability in The garden (A Fantasia in Four Movements) describing the bliss, pleasures and ultimate acceptance of a short-term love affair. This is where Mark Wilson grabs me, calls to the spirit of the breath under my wings and puffs me Icharus-like toward the sun. Poetry is always a dangerous business. When its this good, you have to accept your place as reader in a timeless moment. Throw caution to the wind, and let the spirit of what drives fear dissolve under the skill of the poet-prophet. Mark Wilson’s Quartet for the End of Time can be purchased here. Excellent and deep reading of Wilson’s poetry, Lisa, Bravo! Thanks Seb. I really enjoyed this beautiful book. He’s a fine writer, and he’s fortunate enough to be supported by a great press! 🙂 I had a wonderful time with this. Many many thanks Lisa for writing this. Your insights are extremely astute and are of great value. I’m glad you were moved and delighted by my poems. I can’t really ask for any more than that! Thank you Mark. I had ‘moments’ with this. I know you well enough to know you understand completely what I mean by ‘moments’. I particularly enjoyed immersion around the art you were connecting with. You have a unique semblant awareness that took me to a great place. Who needs drugs baby, when we have this on tap? Thank you again for all your amazing work. Thanks again, Lisa. I’m glad you experienced epiphanies whilst reading this collection. Your use of Youtube clips and Googled art images make this page an-depth resource for my book. Even more so than my notes actually. Fascinating that Paul (in his review of the book) felt the ‘music’ poems were my strongest works but you thought the ‘painting/art’ poems resonated more with you. I appreciate this kind of polyphony! Anyway, keep up the writing and this vibrant blog. Now I know how to feedback on this i’m sure I’ll post more. It’s my pleasure! I read the work a few times (once over a very very pleasant breakfast in my petit bohemian part of the world – it was divine – great coffee, great words, great poached egg on sourdough!) but it really came alive for me when I attached it to the art you suggest in your notes. I wanted to try to convey THAT rather than offer a break down analysis (something Paul can do far better than me). I wish very very greatly people would take more time with poetry. It is an entirely separate door to the psyche that can’t be matched in any other art form. And thank you so much for your generous comments. I’m not on any social media any more. I can’t afford the time with my novel work and frankly, have no desire to provide such rich content for other peoples platforms any longer. I really appreciate your wonderful comments. Thanks again. Hey Mark – I did know this, but don’t have my tickets yet. I’ll be going though!